Manning Regional Healthcare Center will be co-hosting a Babysitting Course with Iowa State University Extension and Outreach: Carroll County on March 15 at Manning Regional Healthcare Center. The class will be in session from 8:30am - 3:30pm and will be limited to 30 individuals on a first come first serve basis. Topics covered will include: safety, first aid and CPR, child development, good business practices, and entertaining children. Boys and girls in fourth to seventh grade are encouraged to register; registration fee is $35 payable to Carroll County Extension. Registration forms can be found online at www.mrhcia.com/news and are due on March 10 to Manning Regional Healthcare Center, ATTN: Julie Hodne, 1550 6th Street, Manning, IA 51455. If you have questions, please contact Julie Hodne (712) 790-1498 or Jill Arp (712) 790-1035. “This work is vital to determine the health direction for our county,” said John O’Brien, Manning Regional Healthcare Center CEO. All community residents are encouraged to complete the CHNA online survey by Friday, February 22, 2019 and to attend the upcoming scheduled Town Hall meeting on Thursday, March 28, 2019 from 6:00 pm- 7:30 pm at Manning Regional Healthcare Center Conference Rooms 1 and 2. Vince Vandehaar, MBA (VVV Consultants LLC, an independent research firm from Olathe, KS) has been retained to conduct this community-wide research. If you have any questions about CHNA activities, please call Julie Hodne at 712-655-8179. MANNING, IOWA (December 2018) – The discovery of penicillin and its ability to kill harmful bacteria changed the course of medicine. It allowed thousands of World War II soldiers to survive once-fatal infections and is estimated to have saved more than 200 million people worldwide in the last century. But less than 80 years after the first patient was successfully treated with penicillin in the United States, researchers fear the overuse and misuse of antibiotics has become a serious public health concern. According to the Centers for Disease Control and Prevention (CDC), antibiotic misuse has led to around 2 million people in the United States acquiring infections with antibiotic-resistant bacteria every year. Of those, at least 23,000 people die annually as a result. Medical providers and staff at Manning Regional Healthcare Center are working to help promote awareness regarding antibiotic resistance and the importance of only using antibiotics as prescribed. One way to stop the spread of antibiotic-resistant bacteria is to avoid misusing the drugs. For example, Dr. McLaws says that antibiotics are only meant to treat infections caused by bacteria, and not conditions caused by viruses. “Many people do not realize that common colds, the flu, bronchitis or even runny noses where the mucous is thick, yellow or green, are not conditions that should be treated by antibiotics,” said Dr. McLaws. 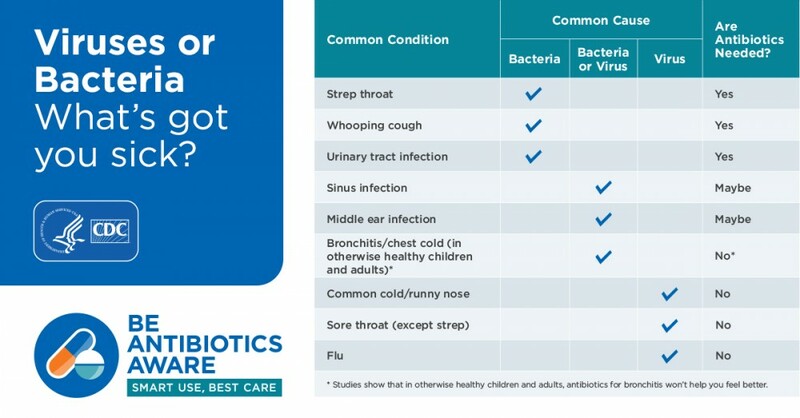 Once a medical provider has determined a patient has a bacterial infection that warrants a treatment of antibiotics, it’s vital for patients to follow their prescription usage directions carefully, according to Jen Morris, PharmD, Director of Pharmacy at MRHC. “It is important to finish the whole treatment of antibiotics, even if you are feeling better, because infections can come back even worse than before if you haven’t completely finished the antibiotics,” said Morris. Furthermore, Morris notes there are dangers with an unfortunately common practice of saving pills for future illnesses, or using leftover antibiotics to self-treat family members with similar symptoms. “Taking leftover antibiotics for a new illness increases your risk of having side effects, making yourself even sicker, or having a reaction,” said Morris. “It is best to come in and be seen by a provider and not attempt to self-treat with antibiotics at home. All old medications can be disposed of in our medication destruction box inside the ER entrance at MRHC or uptown at Manning Pharmacy,” said Morris. Morris adds that even though antibiotics aren’t appropriate to treat all illnesses, there are often many other over the counter medications that can help you feel better. She encourages people with symptoms to contact their medical provider or ask their pharmacist for suggestions. For more information about antibiotic resistance, or to make an appointment with a medical provider, call Manning Regional Healthcare Center at 712-655-2072. If the scale doesn’t show a lower number, does that mean your diet and exercise programs are failing? Or, if your Body Mass Index (BMI) is within a normal range, can you assume your overall body fat percentage is low? The answer to both questions is, “No,” according to Manning Regional Healthcare Center (MRHC) provider Courtney Rupiper, PA-C.
A more accurate test, according to Rupiper, is a Body Composition Scan – otherwise known as a DEXA Scan. A DEXA Scan is a dual-emission x-ray that was long synonymous as the go-to resource to diagnose osteoporosis. However, today’s technology is now providing a wealth of data that can be used to accurately measure how changes in diet, exercise and lifestyle choices can influence not just your bone density, but your body’s overall muscle mass and fat composition. “Using DEXA for this type of measurement is especially beneficial for anyone wanting to get in better shape since exercise alone typically results in fat loss, not weight loss,” said Rupiper. Locally, MRHC utilizes a state-of-the-art DEXA Scanner that provides body composition testing capabilities for patients. MRHC offers the service with or without physician referral – meaning patients can call and set up appointments at any time. The 5-minute-exam allows hospital staff to provide patients with a highly-accurate report on their body fat percentage, body mass index, lean muscle mass, ideal body weight and resting metabolic rate, along with highlighting any changes from previous exam baseline percentages. As a special incentive for patients to chart these initial measurements prior to starting any new diet or fitness routines in 2019, MRHC is offering a 50% off promotion on all Body Composition Scans from now until January 31, 2019. Body Composition Scan appointments are available between 8 am – 5 pm, Monday through Friday, and can be made by calling (712) 655-2072. To prepare for the appointment, avoid calcium supplements including multi-vitamins for 24 hours prior to the exam. Otherwise, just wear loose comfortable clothing without any metal zippers, buttons or snaps. MRHC Babysitting Course a HUGE SUCCESS! Manning Regional Healthcare Center (MRHC) and Carroll County Iowa State University (ISU) Extension teamed up to bring the babysitting course back to the area for the community. Jill Arp, RN and Julie Hodne, RN, both nurses at MRHC, worked with Anjanette Treadway, Human Sciences Program Coordinator at ISU Extension, to provide a babysitting basics class for interested boys and girls in grades 4-7. The class was held at MRHC over the course of two evenings and registrations were capped off at thirty students on a first come, first serve basis. The response from the community was wonderful and all thirty spots were filled right away. Thirty excited boys and girls attended the babysitting basics class to learn about safety, first aid, CPR, child development, good business practices and tips on how to entertain children. Our local police chief, Sam Hansen, and Manning fireman, Todd Stadtlander, instructed the children on safety in the home and fire facts. Julie Hodne, AHA Instructor, demonstrated CPR/choking skills on children and infant mannequins. The kids enjoyed afterschool snacks prior to class starting and creating their Magic Bags to use when they go to a babysitting job. Certificates were given to all the students that attended the two day class. Thank you to Jet Xpress and Casey’s General Store for generously donating delicious sub sandwiches and assorted pizzas to the kids for supper both evenings. Thank you to the children, parents, instructors and everyone else that helped make the babysitting basics class a HUGE success. Due to popular demand, another babysitting basics class will be held in the spring of 2019, date yet to be determined. 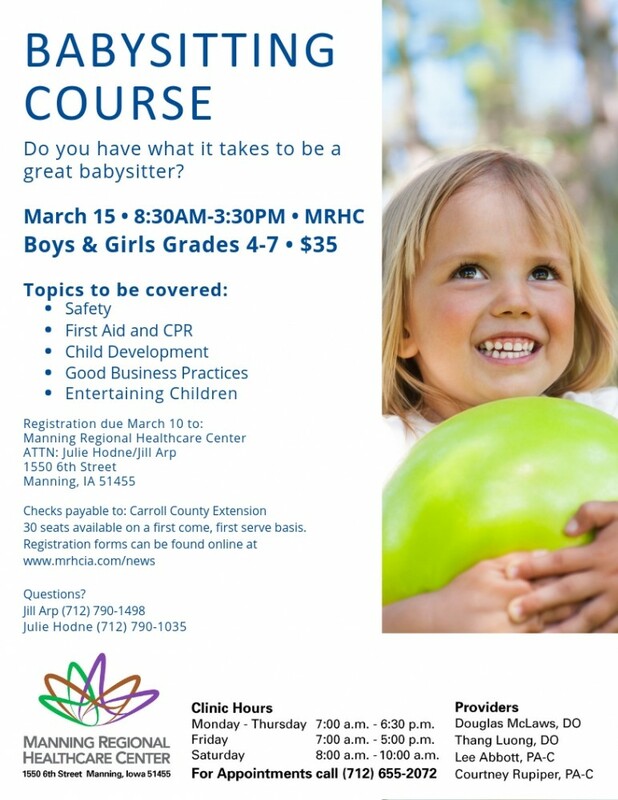 To reserve your child’s spot for the spring 2019 babysitting basics class, please contact Julie Hodne or Jill Arp at Manning Regional Healthcare Center by calling (712) 655-2072. 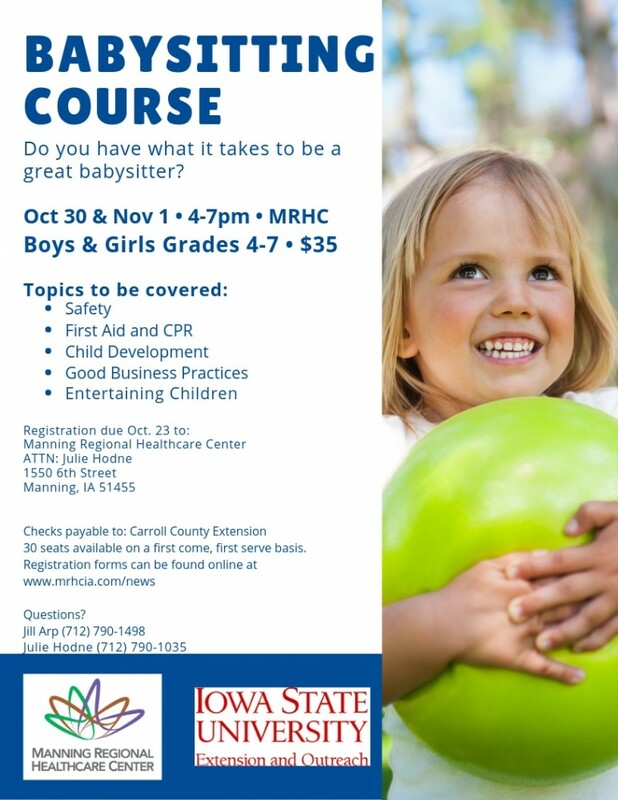 Manning Regional Healthcare Center will be co-hosting a Babysitting Course with Iowa State University Extension and Outreach: Carroll County on October 30 and November 1 at Manning Regional Healthcare Center. The class will be in session from 4-7pm each night and will be limited to 30 individuals on a first come first serve basis. 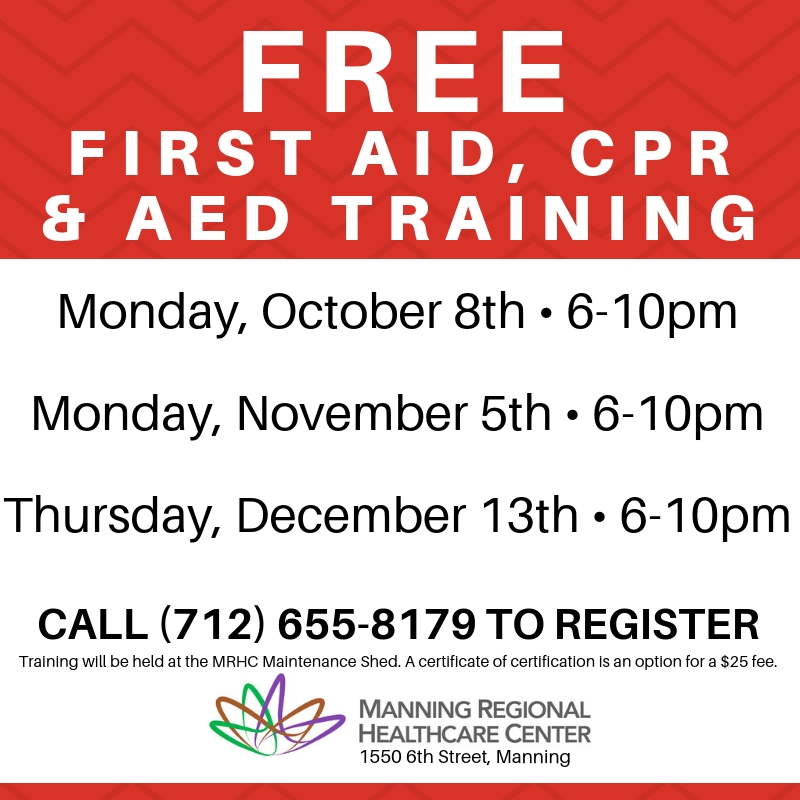 Topics covered will include: safety, first aid and CPR, child development, good business practices, and entertaining children. Boys and girls in fourth to seventh grade are encouraged to register; registration fee is $35 payable to Carroll County Extension. Registration forms can be found online at www.mrhcia.com/news and are due on October 23 to Manning Regional Healthcare Center, ATTN: Julie Hodne, 1550 6th Street, Manning, IA 51455. If you have questions, please contact Jill Arp (712) 790-498 or Julie Hodne (712) 790-1035. October is Breast Cancer Awareness Month. One of the best ways to detect breast cancer is by getting regular mammograms. Kae Rene Rogers, 72, of Manning, Iowa, knows firsthand how important it is to receive your mammogram and how it can influence your future health. Having no family history of cancer, Rogers wasn’t too concerned about the risk of breast cancer or any cancer at all. She had attended regular healthcare appointments, watched what she ate, stayed active with the grandkids and was living a healthy life. In February 2018 Rogers received a letter from the Manning Regional Healthcare Center (MRHC) department of radiology informing her about the newly installed 3-D mammography machine and that she had not received a mammogram since 2014 - four years ago. According to the American’s Cancer Society, women age 40 to 55 should receive a mammogram every year and woman aged 55 and older should receive a mammogram every year or every other year. Like many people with busy lives, Rogers told herself that she needed to schedule a mammogram after receiving the letter but delayed making the appointment. One week after receiving the letter, Rogers received a phone call from Linda Croghan, RT (R) (M) (CT), director of radiology, informing Rogers of the importance of annual screenings. Croghan also explained how the newly installed 3-D mammography machine is more effective at identifying tumors, especially those hiding behind the dense breast tissue. On February 15, 2018 Rogers received her 3-D mammogram. “Linda called me after my 3-D mammogram and said I should make a follow-up appointment with my primary care provider, Dr. McLaws, at the MRHC clinic to go over my results. I met with Dr. McLaws and we reviewed my mammogram together. The scan showed that I had a lump in my right breast and that I would need a breast biopsy. Nine days after receiving her 3-D mammogram at MRHC, Rogers followed Dr. McLaws’ recommendation of visiting the Katzmann Breast Center in Des Moines, Iowa. There she had a diagnostic mammogram, ultrasound and breast biopsy completed. These tests confirmed the diagnoses of breast cancer. By the middle of March, Rogers had met with all members of her MRHC Cancer Care Team. This team included oncologist Dr. Parker-Brueggemann, cardiologist Dr. Ulveling, general surgeon Dr. Miller, primary care provider Dr. McLaws, Croghan, Liesa Meislahn, RN and Taylor Potthoff, RN. Dr. Parker-Brueggemann met with Rogers at the MRHC Specialty Clinic to establish a care plan together. She then had an echocardiogram overseen by MRHC cardiologist Dr. Ulveling and her chemotherapy port was placed by Dr. Miller. 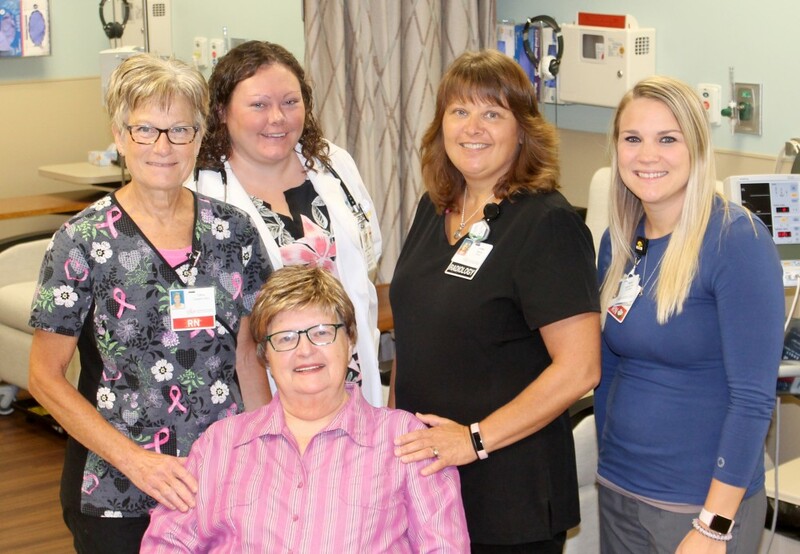 Croghan in radiology scheduled her PET/CT scan and Liesa Meislahn, RN and Taylor Potthoff, RN assisted Rogers with her daily care and made sure she understood everything that she was experiencing during her fight against breast cancer. “I was diagnosed with stage IIB breast cancer. My port was placed in March; I received four rounds of chemotherapy at the MRHC Specialty Clinic. At the end of May I had a mastectomy on my right breast done at Mercy in Des Moines. I restarted chemotherapy after my mastectomy and completed my last treatment on October 8, 2018. “I have never had cancer before, no one in my family has ever had cancer, so I had no idea what to expect. I can tell you that everyone at Manning Regional Healthcare Center has been so helpful throughout this whole process over the past nine months. They go out of their way to help you. It hasn’t been easy. I was sick, weak, and lost my hair. I learned a lot about myself and cancer but they were there for me every step of the way to help me through it. “I cannot stress enough to everyone and anyone who will listen, PLEASE GET A MAMMOGRAM! If Linda had not sent me the letter and called to make an appointment I probably would’ve gone another year and the breast cancer would’ve kept growing and spreading. Please, please, please get a mammogram. Do it for yourself, your family and your friends. To schedule your 3-D mammogram, meet with an oncologist or to talk about your options for receiving chemotherapy at Manning Regional Healthcare Center, please call (712) 655-2072. DO YOU HAVE IDEAS TO HELP IMPROVE MRHC? DO YOU HAVE IDEAS TO HELP IMPROVE MRHC? BECOME A PATIENT AND FAMILY ADVISOR! At Manning Regional Healthcare Center (MRHC) we pride ourselves on our team approach to providing patient-centered care. We are always looking for ways to improve upon each patient’s experience with us throughout their lifetime of receiving care from our local trusted providers. We think that many of you may have great ideas about how we can continue to improve the health care experience for patients and families right here at MRHC. We would like to invite you to help us identify those improvements by becoming a patient and family advisor at Manning Regional Healthcare Center. A patient and family advisor will help us improve the patient experience by sharing stories about their hospital experience in training sessions for nurses, doctors and other hospital staff, helping to create materials and plans for improving health care quality and safety for all patients, providing input on how to improve our policies and care practices, giving feedback about their hospital stay, and letting us know what went well and what we can do better. To be a patient and family advisor, advisors need to be able to listen and share their opinions respectfully, think about ways to improve health care, and work well with others. You do not need any special qualifications to be an advisor. If you are interested in learning more about serving as patient and family advisor for MRHC, please contact Jackie Blackwell, QI Coordinator at MRHC, via phone at (712) 655-2072 or via email at Jackie.Blackwell@mrhcia.com. MANNING, IOWA (September 11, 2018) – Manning Regional Healthcare Center’s (MRHC) Senior Life Solutions program is raising awareness about September being Suicide Prevention Awareness Month with a spotlight on their new Program Therapist, Amy Hull. MRHC’s Senior Life Solutions program is an intensive outpatient group therapy program designed to meet the unique needs of older adults over the age of 65 struggling with symptoms of depression and anxiety often related to aging. One of Hull’s favorite parts of being involved with MRHC’s Senior Life Solutions program is hearing about the profound challenges clients have overcome in the past such as war, the depression, droughts, political upheaval and helping them to remember that they still have the capabilities and knowledge to overcome the challenges of today. According to Hull, benefits that clients receive from participating in MRHC’s Senior Life Solutions program are knowing they have the intrinsic power to improve their struggles and that there are opportunities waiting for them to explore - they just need the courage to take them; and that they gain an understanding that they are still valuable - to the members of MRHC’s Senior Life Solutions, their families and this community. Hull, as well as the rest of MRHC’s Senior Life Solutions team is hoping to break down any negative stereotypes about mental health. By attending MRHC’s Senior Life Solutions program, patients are learning that what they are feeling is an illness that needs and deserves treatment, just like a physical illness. If you or someone you know may benefit from attending MRHC’s Senior Life Solutions program give Amy Hull and her team a call at (712) 655-8262 to discuss your options, no referral is necessary. The Recovery Center at Manning Regional Healthcare Center hosted Manning Mayor Harvey Dales and other regional community leaders on September 11th to increase awareness and support individuals in recovery from previous alcohol and substance abuse addictions. As part of a special event, Mayor Dales signed an official proclamation to formally recognize September as National Recovery Month. Later in the day, members of the Carroll County Substance Abuse and Mental Health team collaborated to identify the rising trends of addiction in the area and how each organization can work together to address these issues. The proclamation signing at MRHC was one of several celebrations across the country as part of Recovery Month, a national observance sponsored by SAMHSA, within the U.S. Department of Health and Human Services. The observance raises awareness of mental and substance use disorders, celebrates individuals in long-term recovery, and acknowledges the work of prevention, treatment, and recovery support services. The Recovery Center is a 16-bed co-ed chemical dependency facility located in Manning. For nearly four decades, Recovery Center staff have adapted treatments to meet the most pressing or newly emergent addiction issues. From alcoholism, to the influx of meth to the abuse of prescription painkillers, staff have consistently helped clients take their first step toward healthy, drug and alcohol-free lifestyles. For more information about the Recovery Center, visit www.manningrecoverycenter.com or call 712-655-2300. Photo Caption: Mayor Harvey Dales signs the National Recovery Month proclamation and is joined by Recovery Center Director, Eric Weinkoetz, MRHC Director of Nursing, Linn Block, and MRHC CEO, John O’Brien. MANNING, IOWA (September 10, 2018) – Manning Regional Healthcare Center (MRHC) is proud to announce the addition of Dr. Thang Luong to the MRHC Clinic. Several of you may recognize Dr. Luong from his month long internship working with Dr. McLaws in the MRHC Clinic back in January of this year. 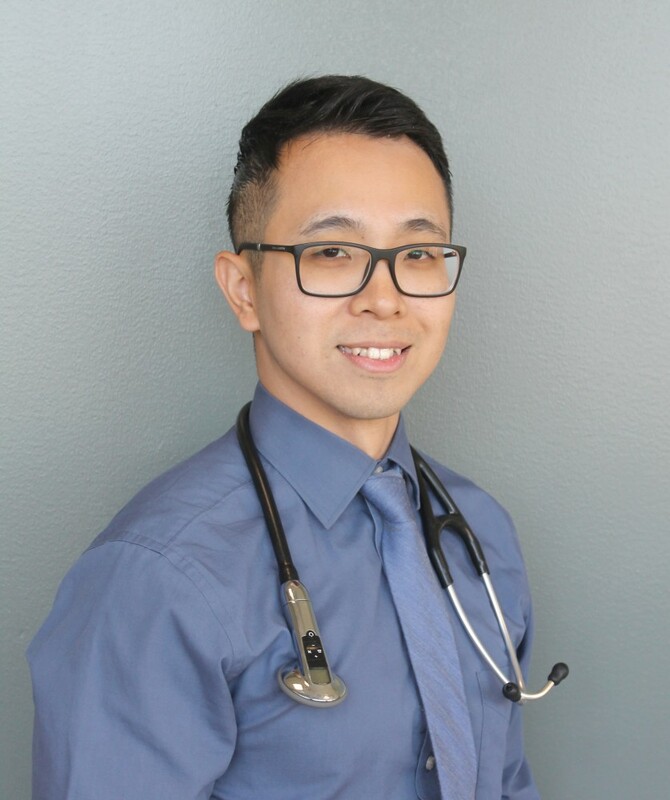 Dr. Luong is a 2015 graduate of Des Moines University and is a board-certified family medicine physician; he recently completed his 36-month residency at Genesis Quad Cities Family Medicine in Davenport, Iowa. Originally from California, Dr. Luong is also a member of the Flying Samaritans which has allowed him to travel to central Mexico to provide care at a free clinic to area residents. When not at MRHC, Dr. Luong enjoys reading, watching movies, exercising and spending time with his family and friends. He is looking forward to spending time less time studying and more time with his girlfriend, Vi, who is currently pursuing her degree to become a Nurse Practitioner. To schedule an appointment with Dr. Luong, please call the MRHC Clinic at (712) 655-2072. MANNING, IOWA (Thursday, September 20, 2018) – As the fall season starts to approach, so does the infamous flu season. Influenza is a serious disease that can lead to hospitalization and sometimes even death. Every flu season is different and influenza infection can affect people differently. Even healthy people can get very sick from the flu and spread it to others. “It’s important that everyone consider the flu shot, not only for themselves but for their families. As a family, business or community, the more we can do to stop the spread of influenza, the better off we’ll be as a whole. The single best way to prevent the flu is to get a flu shot,” explains Jill Arp, RN, MRHC infection control. “The timing and duration of the flu season varies. Vaccinations should begin as soon as vaccines are available. It takes about two weeks after receiving a vaccination for the necessary antibodies to develop to protect against influenza virus infection,” advises Arp. MRHC will be hosting a flu shot clinic on Saturday, October 6, from 8:00am – 11:00am. No appointments will be necessary and regular and high-does vaccinations will be available. Payments for vaccinations may be made through insurance or by cash or check for $30/$50 per person. MRHC is also offering on-site flu shot clinics for local businesses. 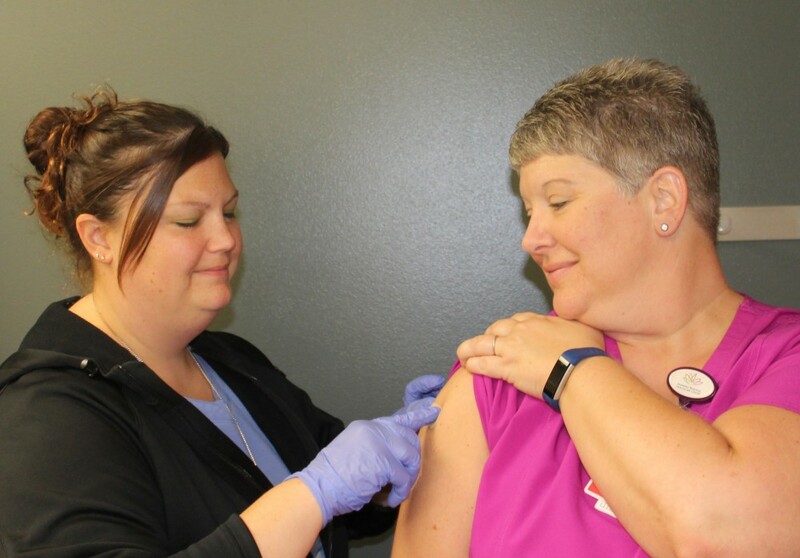 Any businesses interested in offering on-site flu vaccinations for their employees can contact Jill Arp for details and to make arrangements, (712) 655-2072. Pictured: Jill Arp, MRHC infection control, places a Band-Aid on Boni Johnson, MRHC ER Supervisor, after Johnson received her flu shot. MRHC is proud to announce the addition of Avera eCARE® Emergency Services! Manning Regional Healthcare Center (MRHC) provides emergency services to hundreds of patients in the community each year. Open 24/7, the ER is equipped to handle any patient that comes through the door. However, access to a second set of eyes and ears can be beneficial in critical cases. The new eCARE Emergency service will provide that extra support to MRHC’s clinicians when needed. At the push of a button, MRHC’s physicians and emergency room staff have immediate, virtual access to a team of physicians and nurses who specialize in emergency medicine based out of Sioux Falls, South Dakota. eCARE Emergency supports patient care in several ways: access to board-certified emergency physicians 24 hours a day, connects rural communities to highly trained specialists, activation of emergency transport teams as early as possible, additional support during multiple emergencies, fewer transfers so patients can stay close to home, language interpretation services, medical education for staff and patients and our collaborative approach allows local caregivers to focus exclusively on patient care. Avera eCARE offers one of the largest telehealth networks in the United States, supporting more than 380 health centers, clinics, long-term care centers and correctional facilities within a fourteen -state region. Please go to mrhcia.com or call (712) 655-2072 to learn more about MRHC’s health care services. To learn more about Avera eCARE, go to www.AveraeCARE.org. “I love living here in a rural area and being able to care for the people of my community. The opportunity to network at the conference with other pharmacists and brainstorm how others are meeting the daily work challenges of pharmacy was invaluable to me! I came back to work this week motivated and inspired to apply many of the skills taught,” said Jen Morris, PharmD. 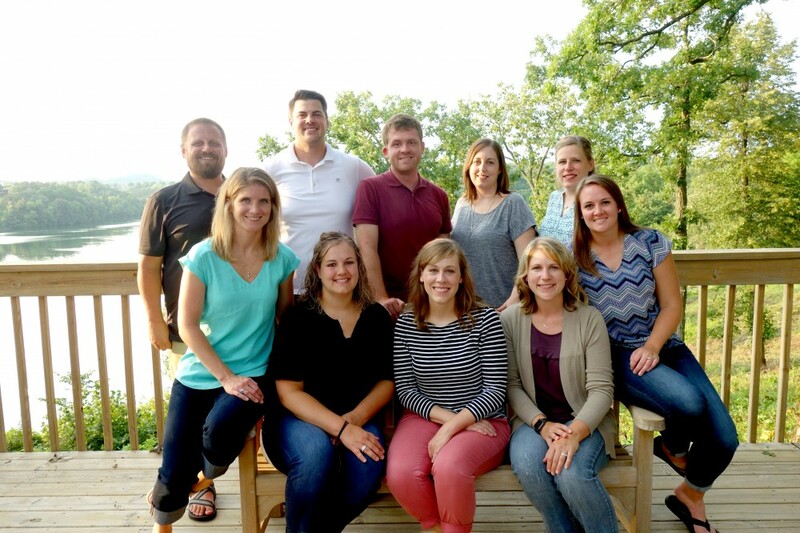 Morris joined nine other pharmacists from Iowa and ten pharmacists from Wisconsin in a retreat near Galena, Illinois. The goal of Leadership Pharmacy is to identify emerging leaders and, through a three-day program of education and participatory exercises, enhance the leadership skills of the participants and provide motivation to seek greater awareness and involvement in the issues confronting the profession. Pictured: The top ten emerging leaders in Iowa Pharmacy at the 2018 Leadership Pharmacy Conference. “While Dr. Bella will be greatly missed, we also understand that this decision is one that will be best for her, her husband, and their family. We are very grateful for the care she has provided to our patients during her time here in Manning and wish her the best of luck in her future,” says John O’ Brien, CEO of Manning Regional Healthcare Center. Dr. Bella will continue to see her scheduled patients until August 22, 2018. Courtney Rupiper, PA-C, Lee Abbott, PA-C and Dr. Luong will be taking over the care of her patients after her departure. Courtney Rupiper, PA-C specializes in family medicine, managing chronic conditions and geriatric care management. Lee Abbott, PA-C specializes in men’s health, pain management and substance abuse. Dr. Luong is the newest provider that will be joining MRHC in September of 2018. Dr. Luong specializes in family medicine, managing chronic conditions and osteopathic manipulative treatment. Establish care appointments are available, but not required. To schedule your next appointment with Courtney Rupiper, PA-C, Lee Abbott, PA-C or Dr. Luong you can contact the MRHC Clinic at (712) 655-2072. 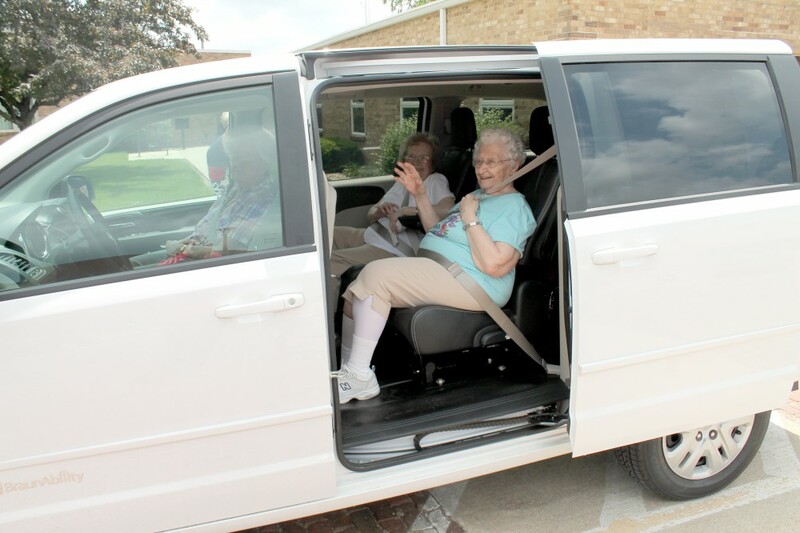 The residents at the Manning Plaza have been enjoying their outings this summer in a new van. 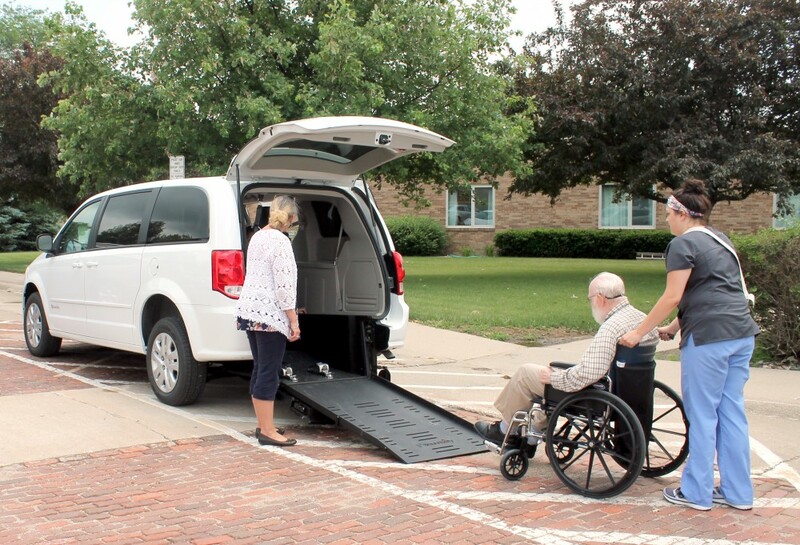 The Dodge Grand Caravan features a ramp that folds out from the rear of the vehicle allowing for up to two wheelchairs to be loaded and locked in place for transportation at the same time. It also has flexible seating to allow for two residents to sit in the middle bucket seats and one resident in a wheelchair to occupy the third row. 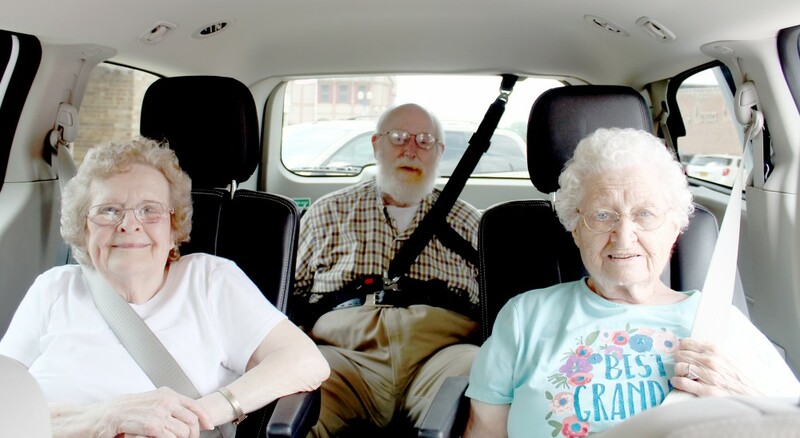 Plaza residents are able to go on outings multiple times a week in the new vehicle. No two outings are ever the same as the residents get to pick where they want to go or what they want to see while out and about in the van. “Our residents love the new van and are enjoying the many outings. Once we get buckled up I ask them where they want to go today. Sometimes they want to go to nearby towns or parks, or enjoy a leisurely drive around the country side. Many times the group will enjoy just touring Manning and seeing all of the changes and progress that is being made” says DeEtte Grabill, Activity Director. 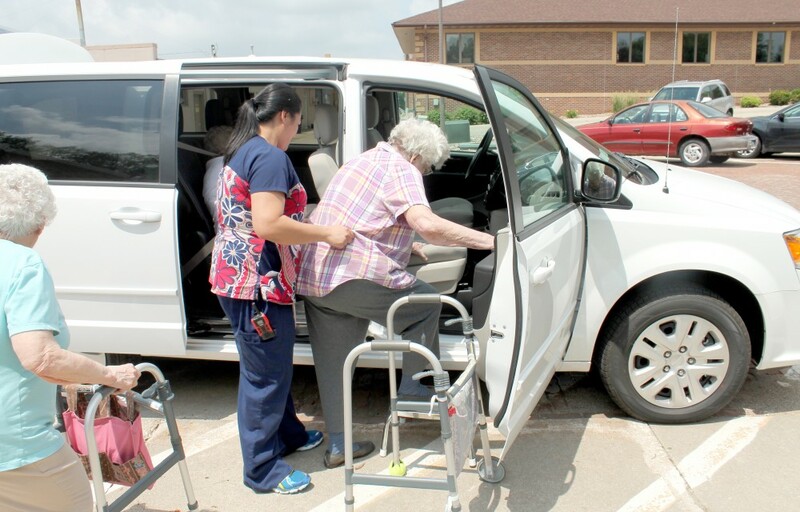 Manning Regional Healthcare Center would like to thank the West Central Iowa Healthcare Foundation and the Max & Leola Timmerman Charitable Trust for helping to make the purchase of a new wheelchair accessible van a reality for our residents at the Manning Plaza. The Iowa Hospital Association’s (IHA’s) Iowa Hospital Education and Research Foundation (IHERF) has awarded $182,000 in scholarships to college students from all parts of Iowa. 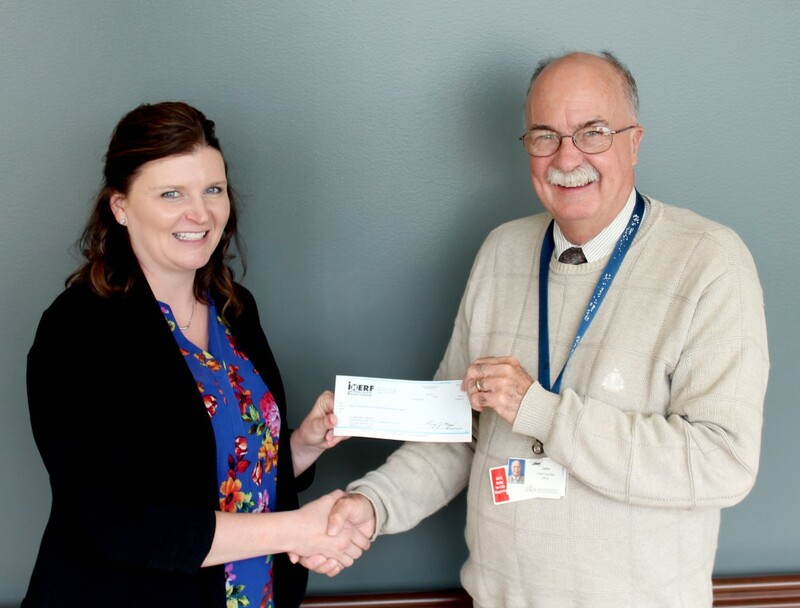 Among those receiving a $3,500 scholarship is Elaine Macumber, an employee at Manning Regional Healthcare Center (MRHC) who is studying Nursing (ADN) at Western Iowa Tech Community College (WITCC). Since its inception 14 years ago, the IHERF scholarship fund has provided support to about 34 students each year. This year, that number was increased to 52. Similarly, in 2016, the scholarship amount was increased from $3,000 to $3,500. Each recipient is also eligible for an additional $3,500 award. Seven of the students are repeat recipients from 2017. IHA established the IHERF Health Care Careers Scholarship Program in 2004 to help address the ongoing shortage of health care professionals and encourage young Iowans to establish or continue their careers with Iowa hospitals. The first scholarships were awarded in 2005 and more than 450 students have now benefited from the program. To date, the scholarship program has provided more than $1.4 million in direct support to students since its inception. Iowa hospitals also benefit from the scholarship program. In exchange for financial support, scholarship-receiving students agree to work one year in an Iowa hospital for each year they receive an award. Today, 250 past scholarship recipients are working in hospitals across the state. IHA staff, the IHERF Board, hospital leaders and IHA Auxilian/Volunteer Board members from throughout the state evaluated scholarship applications from 165 students, who were judged on grade-point average, a written personal statement, letters of reference and extracurricular, community and health care-related activities. “We are very proud to support these high-achieving students who will help Iowa hospitals continue their tradition of high-quality health care throughout the state,” said IHA President and CEO Kirk Norris. Patients of Manning Regional Healthcare Center (MRHC) will benefit from the latest technological advances that expand patient access to quality emergency care, made possible through a grant from The Leona M. and Harry B. Helmsley Charitable Trust. Helmsley’s Rural Healthcare Program has awarded MRHC $153,198 for eEmergency, a program that gives our healthcare professionals immediate access to specialty care 24 hours a day. The grant will be used to purchase eEmergency equipment that connects local providers with emergency specialists. eEmergency ensures that board-certified emergency physicians and emergency-trained nurses are available to assist local providers in treating trauma, heart attack, stroke and other critical conditions. The Leona M and Harry B. Helmsley Charitable Trust aspires to improve lives by supporting exceptional efforts in the U.S. and around the world in health and select place-based initiatives. Since beginning active grantmaking in 2008, Helmsley has committed more than $2.1 billion for a wide range of charitable purposes. Helmsley’s Rural Healthcare Program funds innovative projects that use information technologies to connect rural patients to emergency medical care, bring the latest medical therapies to patients in remote areas, and provide state-of-the-art training for rural hospitals and EMS personnel. To date, the program has awarded more than $335 million in grants. 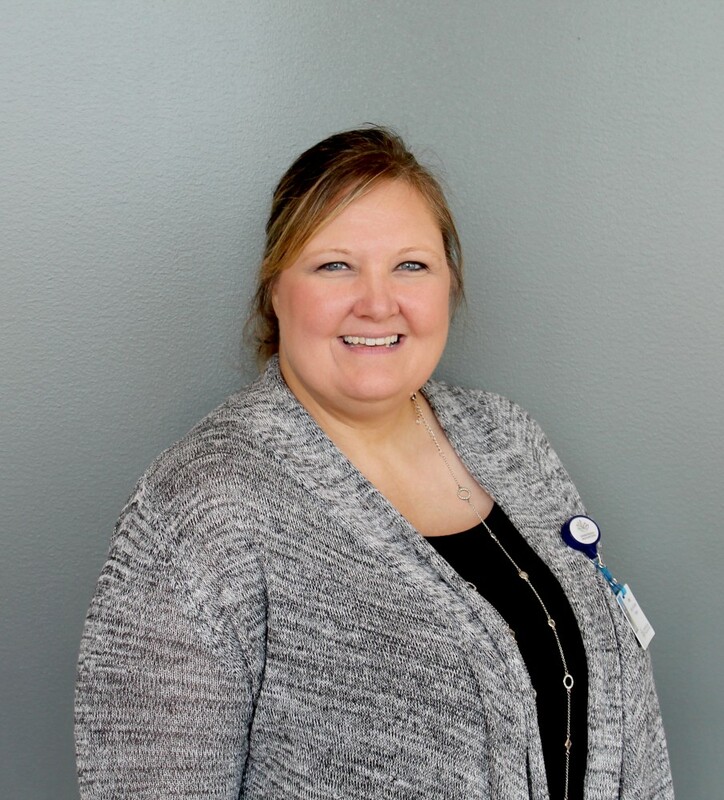 Manning Regional Healthcare Center (MRHC) is proud to announce that Jackie Blackwell, Quality Leader at MRHC, has graduated from the Iowa Hospital Association’s (IHA) Quality Residency Program. The program is designed to provide knowledge, support and networking opportunities that will position quality leaders for success within their organizations. The program requires ten in-person learning sessions to be completed over the course of two years. Topics of the learning sessions include quality improvement, use of data, meeting external requirements, patient safety tools, survey and accreditation, medical staff functions, risk management and patient and family engagement. The curriculum also includes pre and post learning assessments and interactive discussions along quality leaders. Blackwell was recognized for her accomplishments at the IHA Spring Conference in Des Moines. On Monday, April 30th, a small surprise award ceremony was held at Manning Regional Healthcare Center (MRHC) to announce that Shelby Dickson, RN, was MRHC’s DAISY Award recipient. Dickson’s family was also present to congratulate her during the surprise award ceremony held at MRHC. DAISY Award recipients are recognized for making an extraordinary difference in their patients, and their families, experiences in healthcare. As part of the MRHC Clinic as a Health Coach, Dickson takes a unique and personalized approach to helping patients set and achieve their health improvement goals. Dickson will attend the official DAISY Award ceremony at Mercy in Des Moines, Iowa, later this summer. The internationally known DAISY Award was started to recognize nurses who go above and beyond the call of duty. Since its debut in 1990, over two thousand healthcare facilities worldwide honor nurses with the DAISY Award. The Manning Regional Healthcare Center (MRHC) Auxiliary recently completed their spring project of donating $4,971.99 for the purchase of a new EZ Way Smart Lift for MRHC. The EZ Way Smart Lift has a one thousand pound lift capacity and has a built in scale for weighing patients. It is used to safely transfer patients by lowering their fall risk and helps to prevent lifelong back injuries to nursing staff from heavy lifting. The MRHC Auxiliary generates funds to support healthcare projects from their annual membership dues, hosting bake sales and operating the Plaza Snack Bar. If you are interested in joining the MRHC Auxiliary the annual membership fee is ten dollars, checks can be mailed to MRHC Auxiliary, ATTN: Macy, 1550 6th Street, Manning, Iowa 51455. If you are interested in volunteering to work at the Plaza Snack Bar please contact Sally Hodne at 712-655-3909. Recently, Manning Regional Healthcare Center (MRHC) employees had the opportunity to participate in a Patient Safety Fair hosted at MRHC. During the 3rd Annual Patient Safety Fair, employees toured educational booths set-up in MRHC’s main conference area, focusing on hand hygiene, safe patient handling, two-patient identification methods, medication safety, HIPPA, workplace violence, safe opiate use, fall prevention and emergency code alerts. During the Safety Fair, employees were quizzed on the topics presented and were able to enter into raffle drawings. More than fifty employees took part in the safety fair this year. On Friday, April 13th Manning Regional Healthcare Center (MRHC) and the Manning Plaza employees participated in National Donate Life Blue & Green Day by wearing blue and green clothing to show their support or organ, tissue and eye donation. MRHC is hosting a free coffee and conversation program on Friday, April 27th at 10:30am to educate the community on organ, tissue and eye donation. Two area residents will share their own personal experience with organ donation and how it has impacted their lives. A representative from the Iowa Donor Network will also be available to answer any questions you may have and to debunk common myths associated with organ, tissue and eye donation. This free program will take place at MRHC, 1550 6th Street, Manning, and is open to the public, reservations are not required. If you have questions about the program please contact Macy Schneider at (712) 655-2072. Why Learn About Advance Directives? “Because they are valuable tools,” says Julie Hodne, R.N., Education Coordinator at Manning Regional Healthcare Center. Advance directives help you to protect your right to make medical choices that can affect your life. They help your family avoid the responsibility and stress of making difficult decisions on your behalf. Advance directives also help your physician by providing guidelines for your care. All patients have rights and they include privacy, informed consent, information about your condition and information about advance directives. Advance directives can protect these rights if you ever become mentally or physically unable to choose or communicate your wishes due to an injury or illness. Advance directives can also limit life-prolonging measures when there is little or no chance of recovery. For example, advance directives may help patients decide if they want cardiopulmonary resuscitation (CPR), artificial nutrition or hydration, ventilators or dialysis. They can also address your feelings about pain control and comfort care. Let your values be your guide when creating your advance directives. Consider what is important to you. That may be passing without pain and suffering, being able to make your own decisions, leaving your family with good memories or not burdening your family with difficult decisions, acting according to your religious beliefs or to be with your loved ones at your time of passing. Discuss your feelings with your family, friends, physician, religious leader or your lawyer to consider what is best for you. Once you have the forms, put your wishes in writing and be as specific as possible. Review your advance directives with your family, friends, physician and Power of Attorney (POA). You will need to sign and date your advance directives and have them witnessed and notarized. Keep a copy in a safe and secure place and provide a copy to your physician to be kept as part of your medical records. Your durable power of attorney for health care will also need a copy. Give copies to a relative or friend who may be likely to be notified in an emergency. Review your advance directives regularly and make changes when necessary. Inform you physician, family and POA of any changes. MANNING, IOWA (Thursday, March 22, 2018) – Manning Regional Healthcare Center’s (MRHC) Senior Life Solutions program is celebrating National Social Work month with a spotlight on DeAnn Leiting, MSW, Program Therapist, for MRHC’s Senior Life Solutions program. MRHC’s Senior Life Solutions program is an intensive outpatient group therapy program designed to meet the unique needs of older adults over the age of 65 struggling with symptoms of depression and anxiety often related to aging. Leiting received her Master of Social work from the University of Iowa. In her role as Program Therapist, Leiting leads therapy sessions in a supportive, encouraging group setting. Leiting’s passion for social work came from watching her mother treat people with kindness and respect and helping other people in need. She shares her and her mother’s passion for helping others with patients by reminding them that everyone struggles at different points in their life, and encourages them to use what they learn at MRHC’s Senior Life Solutions program to help others feel better about themselves and to support others when they need it. One of Leiting’s favorite parts of being involved with MRHC’s Senior Life Solutions program is knowing that this older adult age group is dedicated to working to improve their quality of life. She says that the patients put in the work and support each other throughout discussions that sometimes make them laugh and sometimes bring a tear. Leiting added, “Hearing a patient say that they feel welcome and comfortable here is why I do what I do. This work is so rewarding”. Leiting, as well as the rest of MRHC’s Senior Life Solutions team is hoping to break down any negative stereotypes about mental health. By attending MRHC’s Senior Life Solutions program, patients are learning that what they are feeling is an illness that needs and deserves treatment, just like a physical illness. If you or someone you know may benefit from attending MRHC’s Senior Life Solutions program give DeAnn Leiting and her team a call at (712) 655-8262 to discuss your options, no referral is necessary. Manning Regional Healthcare Center (MRHC) is proud to announce the newest hand surgeon Gavin D. O’Mahony, MD. He specializes in trauma; adult, pediatric and congenital hand conditions; carpal and cubital tunnel release; treatment for arthritis of the hand and wrist as well as treatment of injuries to the tendons, nerves and arteries. Dr. O’Mahony received his Medical Degree in May of 2006 from Vanderbilt University School of Medicine in Nashville, Tennessee. Dr. O’Mahony completed his General Surgery Residency at Lenox Hill Hospital in New York, New York, in June of 2011. He completed his Hand Surgery Fellowship at the University of New Mexico School of Medicine in Albuquerque, New Mexico, in July of 2012. Dr. O’Mahony practiced as a Hand Surgeon at Oklahoma University Medical Center for four years where he was also an Assistant Professor. Dr. O’Mahony is now accepting new patients. Clinic appointments and procedures can be scheduled at Manning Regional Healthcare Center for the second or fourth Thursday of every month. For more information or to schedule an appointment, please call Manning Regional Healthcare Center at (712) 655-2072. Manning Regional Healthcare Center (MRHC) in coordination with the Manning Police Department recently provided ALICE training to employees. ALICE stands for Alert, Lockdown, Inform, Counter, and Evacuate. ALICE has become the accepted response to attacks by groups and individuals. ALICE training is now being presented for law enforcement, schools, healthcare institutions, businesses, and churches as the standard of defense. Over the course of six sessions offered at MRHC, 78 employees were able to attend ALICE training provided by Police Chief Sam Hansen and Officer Scott Girard, both of whom are certified ALICE instructors. Alert: The moment you realize that you are in danger. The sooner you understand you are in a threatening situation the sooner you can save yourself, every second counts. Lockdown: If evacuation is not a safe option barricade entry points into your room in an effort to create a semi-secure starting point. Inform: Communicate information in as real-time as possible if it is safe to do so to officials. These types of situations are unpredictable and evolve quickly. Ongoing, real-time information is critical to making effective survival decisions. Counter: This is a strategy of last resort. Counter focuses on actions that create noise, movement, distance and distractions with the intent of reducing the shooters ability to shoot accurately. Evacuate: Learned techniques for safer and more strategic evacuations to take people out of harm’s way or to prevent further harm. 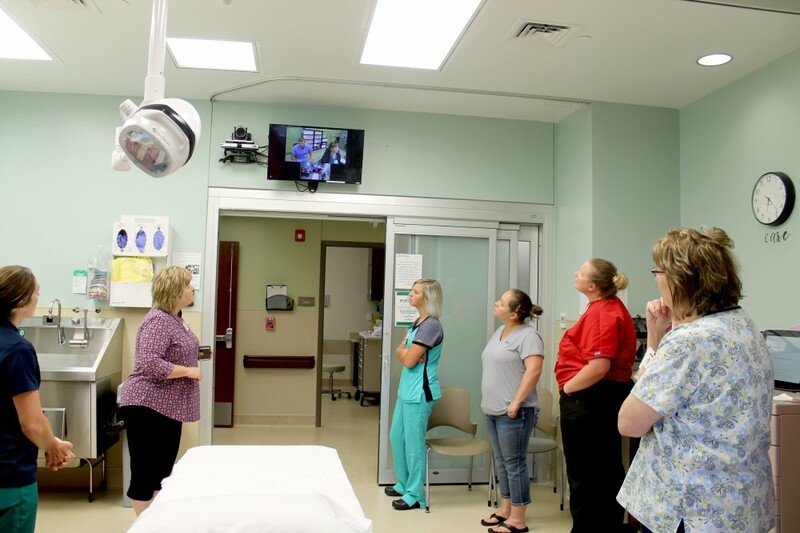 “I hope that we would never have to use this training, but knowing that we have had it and will continue to offer it in the future, will help us to be better prepared to protect each other as staff and our patients” said Boni Johnson, ER Director at MRHC. MRHC plans to offer ALICE training yearly for any new employees in the organization, as well as to allow staff the opportunity to refresh their skills. MRHC thanked Officers Hansen and Girard for teaching ALICE training to their employees by making a donation to the Manning Police Department. If your organization is interested in ALICE training, please contact the Manning Police Department for more information. Manning Regional Healthcare Center (MRHC) generates 372 jobs that add more than $11.6 million to the local economy, according to a recent study released by the Iowa Hospital Association (IHA). The figures released show that MRHC directly employs 230 employees, and another 142 employees are generated as a result of the business MRHC does locally. In addition, MRHC’s annual payroll is listed at $8.1 million (salaries and benefits), while an additional $3.5 million is generated through jobs that depend on MRHC. The study also shows that MRHC employees, by themselves, spend an estimated $3.5 million in local retail sales, and contribute $214,229 in state sales tax revenue. In all, the health care sector, which includes offices of physicians, dentists and other health practitioners, nursing home and residential care, other medical and health services and pharmacies, contributes $1.9 billion to Iowa’s economy while directly and indirectly providing 330,308 jobs, or about one-fifth of the state’s total non-farm employment. MANNING, IOWA (Friday, February 23, 2018) - Manning Regional Healthcare Center (MRHC) continuously strives to improve their quality of care and to make a positive experience for their patients. To do so, MRHC has a patient experience committee made up of members from various departments throughout the organization that meets once a month. Every month the committee reviews patient surveys and determines what actions can be taken to improve and maintain those survey results. The patient surveys are known as HCAHPS (Hospital Consumer Assessment of Healthcare Providers and Systems) and it is a national survey that asks patients about their experiences during a recent hospital stay. The results are used to compare hospitals across the state and country based on eleven important hospital quality topics: communication with nurses, communication with doctors, responsiveness of hospital staff, pain management, communication about medicine, discharge information, care transition, cleanliness of hospital environment, quietness of hospital environment, hospital rating and recommend the hospital. MRHC ranked higher than the Iowa average and the national average in several areas of patient satisfaction, including: how well their doctor communicated with them, if they were given proper information to follow during their recovery at home, if they would recommend the hospital to family and friends, and the quietness and cleanliness of the hospital. The MRHC Clinic offers scheduled and same day appointments and has recently expanded to include appointments over the noon hour and early lab draw on the first and third Friday of each month starting March 2nd. All providers at MRHC are currently taking new patients. To make your appointment with the providers at the MRHC Clinic, call (712) 655-2072. 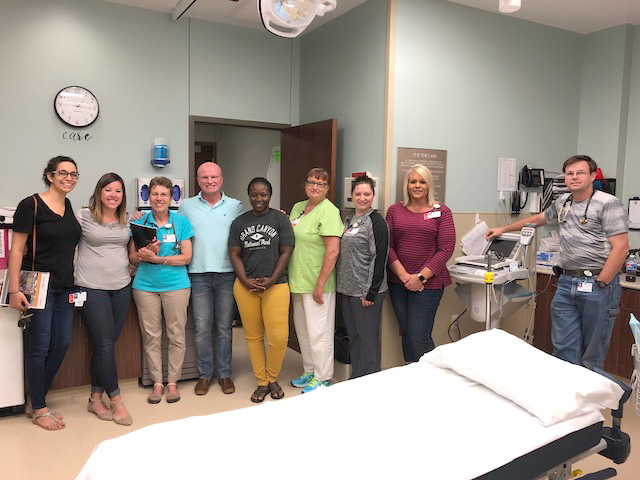 Tracie Riester (Admissions), Linn Block (CNO), Maria Bruner (Radiology), Taylor Potthoff (Specialty Clinic), Ericka Irlbeck (MRHC Clinic), Jackie Blackwell (QI & UR Coordinator), Melissa Maas (Surgery), Michelle Andersen (DON), Carol Segebart (Senior Life Solutions). Not Pictured: Charlie Whalen (PT), Dan Grove (Dietary), John O’Brien (CEO), Kathy Dales (MDSG), Kimberly Nelson (MFRC), Macy Schneider (Marketing), Megan Gochenour (PT), Nancy Danner (MRHC Clinic), Tammy Phipps (HIM), Wendy Klatt (Lab) . • What is a "Totally 80's Murder Mystery Dinner Theater?" This will be a fun and interactive event put on with professional performers with help from you! Audience participation is needed to help solve the murder mystery which is an 80's theme. Dinner will also be served during the performance. • Can I purchase event tickets at the door? Tickets should be purchased in advance from Manning Regional Healthcare Center, Manning Pharmacy, Templeton Savings Bank and First National Bank in Manning. Purchasing tickets in advance helps ensure that our meal count is accurate for our caterers so no one leaves hungry! 50/50 Raffle tickets can still be purchased at the event before the drawing takes place at the end of the event. • What is the meal? In true 80's fashion, we should be serving Dunk-A-Roos, Lunchables, Jawbreakers and SqueezeIt fruit drinks for dinner! But instead we will be having Lidderdale County Store Catering the event. They will be serving roast beef and poppy seed chicken with various sides for dinner. • Is there a bar? • Can we dress in 80's fashion/costume? Yes! Dressing up for the event in your favorite 80's clothing is encouraged! • What is this a fundraiser for? Proceeds from this event will go towards the purchase of the 3D mammography machine at Manning Regional Healthcare Center. Manning, IA (Friday, January 19, 2018)— Manning Regional Healthcare Center’s Dr. Isabella Ahanogbe (Bella), is embarking on a life changing adventure to the Democratic Republic of the Congo (DRC) and Nigeria in Africa with the Samaritan’s Purse World Medical Mission. Dr. Bella will be serving a local community in each country for six weeks from their local hospitals, the CME Nyankunde Hospital located in the northeast corner of the DRC and the Egbe Hospital in west central Nigeria. At both hospitals she will be involved in family care, ER, and OB services. Ryan Bender, Dr. Bella’s husband, will also be accompanying her during her 12 weeks in Africa. He is skilled in network cabling/IT, so he will be helping each of the hospitals link all of their computers and printers together to be able to communicate between departments more smoothly. Tax deductible donations can be made to Dr. Bella and Ryan’s mission, project #005753, by calling the Samaritan’s Purse Donor Ministries department at 828-278-1555. Dr. Bella will be serving in Africa from February – April and will return to treating patients at MRHC on May 3rd. In her absence the MRHC Clinic is fully staffed with providers to treat your acute and chronic conditions. Lee Abbott, PA-C, and Courtney Rupiper, PA-C, are both accepting new patients at this time. To schedule an appointment with Lee or Courtney, call the MRHC Clinic at (712) 655-2072. The medical arm of Samaritan’s Purse, World Medical Mission, was established in 1977 to assist general surgeons who wanted to volunteer for short-term mission trips. Today, hundreds of volunteer Christian physicians, dentists, and other medical personnel work in mission hospitals and clinics around the world. They also staff a biomedical department and warehouse that provides critically needed equipment and supplies to these medical facilities. Manning Regional Healthcare Center is able to detect up to 65% more invasive breast cancers. MANNING, IOWA (Friday, January 12, 2018) – Manning Regional Healthcare Center is now home to one of the most state-of-the art mammography machines on the market. The Genius 3D mammography exam provides patients with a better, earlier breast cancer detection compared to a 2D mammography alone. It finds 20-65% more invasive breast cancers compared to 2D mammography. Genius 3D mammography exams have also been proven to reduce unnecessary callbacks by up to 40%. The 3D mammography only takes a few seconds longer than a 2D, and has the same X-ray dose as a conventional 2D mammogram would. To schedule your potentially lifesaving 3D mammography exam with MRHC, call (712) 655-2072. Is being healthy a New Years goal you set for yourself in 2018? Here are six tips to help you be your healthiest you yet! Senior Life Solutions at Manning Regional Healthcare Center assists older adults in coping with the holiday blues with intensive group therapy. MANNING, IOWA (December 20, 2017): For many of us the holidays become our favorite time of the year; however, for some older adults the holidays can trigger anxiety and depression. It’s not always the holidays itself that is the trigger, but it could be a combination of several factors. For instance, perhaps earlier memories of happier times or the memories shared with a passed loved one. Other contributing factors could be a decline in health making it more difficult to participate in holiday festivities or simply the colder and shorter days that cause the blues. During the holiday season, Manning Regional Healthcare Center’s Senior Life Solutions program focuses on the holiday blues by helping teach older adults healthy coping skills that can help with the holiday blues. Senior Life Solutions at Manning Regional Healthcare Center provides support to older adults, typically over the age of 65, who are dealing with emotional or behavioral issues often related to aging. Following an individual assessment, group participants meet in a supportive, encouraging setting. The program staff includes a board-certified psychiatrist Dr. Kremen, licensed therapist DeAnn Leiting, patient coordinator Dawn Ketcham, program director Carol Segebart and other geriatric professionals dedicated to the emotional well-being of the seniors in the community. “Noting a change in behavior of your loved one and acting on it quickly can help get them the right care that they need, and help prevent a more serious condition from developing,” said Leiting. Segebart notes that common signs of the holiday blues in your loved one may include a change in their sleep habits, tearfulness, change or loss of appetite, sudden loss of interest in favorite activities, depressed or irritable mood, decline in health, and lack of attending to personal care. If any signs of the holiday blues are present in your loved one this season, Segebart shared some tips to help combat against the holiday blues, including facilitating access for them to attend the local senior center, allow them an opportunity to vocalize how the holidays are difficult, create a plan with family or a friend to help fight the blues, celebrate and reminisce over a loved one’s life who has passed, help facilitate calls to family or friends they have not spoken to in a while, take a drive and enjoy the holiday light displays, exercise if health permits, make a favorite holiday treat, or watch favorite holiday movies with a loved one. If you or someone you know is dealing with a loss, anxiety or depression, Manning Regional Healthcare Center’s Senior Life Solutions program. To make a referral, or for more information, contact Manning Regional Healthcare Center’s Senior Life Solutions program at (712) 655-8262. Pictured: (L to R) Carol Segebart, Dawn Ketcham, and DeAnn Leiting with the Senior Life Solutions Christmas tree that was decorated by participants in MRHC’s Senior Life Solutions program. 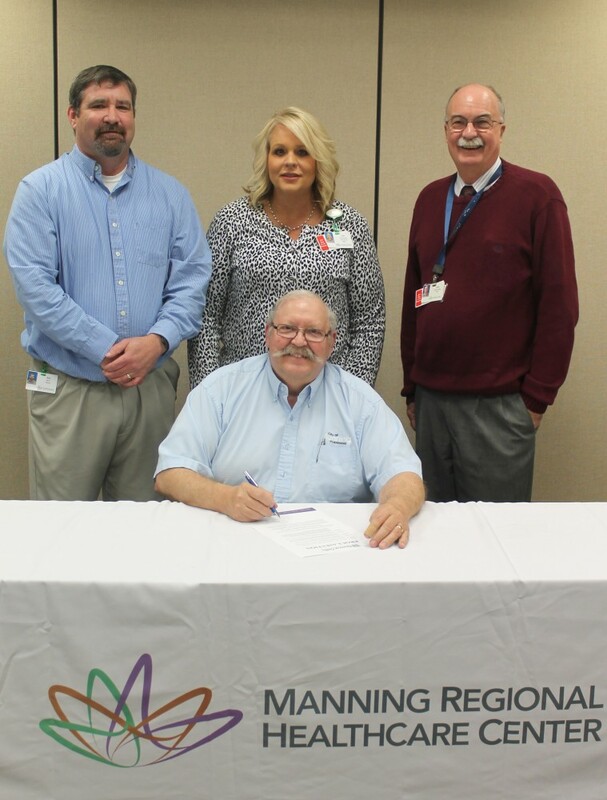 Manning, IA (December 14, 2017)—The National Committee for Quality Assurance (NCQA) announced that Manning Regional Healthcare Center (MRHC) has received NCQA Patient-Centered Medical Home (PCMH) Recognition for using evidence-based, patient-centered processes that focus on highly coordinated care and long‐term, participative relationships. 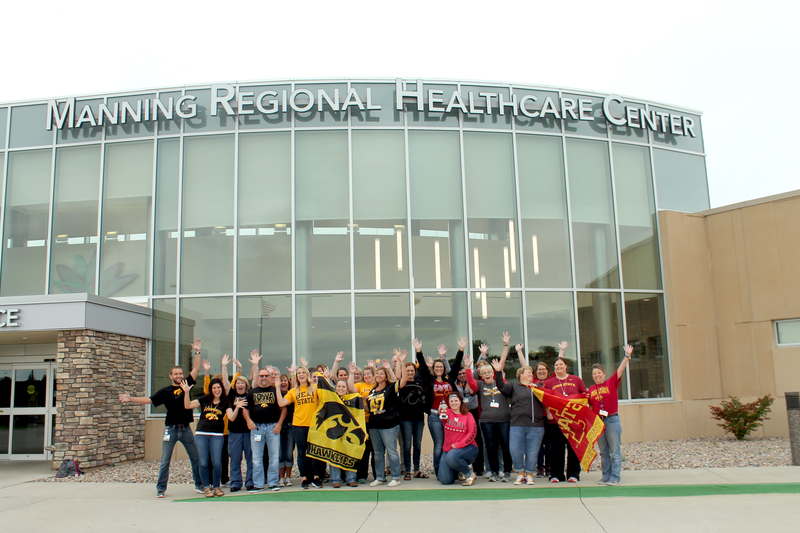 Manning Regional Healthcare Center is one of only 217 practices in the state of Iowa that are recognized as a Patient-Centered Medical Home. MRHC applied for PCMH recognition to ensure our focus on continuously improving our patients’ quality of care. The application process was overseen by Performance Excellence Coordinator Christie Heuton, Health Coach Shelby Dickson, RN, and Assistant Director of Nursing of the Manning Plaza Karen Nelson, RN, BA. “PCMH gives our clinic the opportunity to give a higher quality coordination of care, all while still focusing on our patients and their satisfaction,” said Shelby Dickson, RN. To earn recognition, which is valid for three years, MRHC demonstrated the ability to meet the program’s key elements, embodying characteristics of the medical home. NCQA standards aligned with the joint principles of the Patient-Centered Medical Home established with the American College of Physicians, the American Academy of Family Physicians, the American Academy of Pediatrics and the American Osteopathic Association. On Friday, February 24, 2017, Eric Herbert Christensen entered the world at 9:36 a.m. Nicknamed by his uncle the “blizzard boy,” Eric was born to LeeAnn and Ronald Christensen of Manilla during a typical Iowa snow storm. LeeAnn and Ronald headed to St. Anthony Regional Hospital where they checked in, and nurses on staff coordinated with LeeAnn’s Obstetrician Douglas McLaws, D.O., Manning Regional Healthcare Center. LeeAnn, a compliance and privacy officer and revenue cycle supervisor at Manning Regional Healthcare Center, made the decision to doctor at Manning knowing both providers, Dr. McLaws and Dr. Bella, were well-respected for their abilities and passion for serving patients. Though she had not received care at St. Anthony prior to delivering Eric, LeeAnn felt right at home following a tour and meeting with The Birth Place staff at St. Anthony in December. Once there for delivery, LeeAnn said that the little things St. Anthony offered ended up going a long way. The nurses at St. Anthony kept a close eye on LeeAnn’s progression and stayed in touch with Dr. McLaws as he drove through the blizzard to deliver the baby. Dr. McLaws, who had been with LeeAnn throughout her pregnancy, arrived to deliver and welcome Eric. Based on her experience, LeeAnn offers a word of advice to expecting mothers who are deciding where to deliver their child. Today, LeeAnn and Ronald are raising their family on the acreage where LeeAnn grew up outside of Manilla, where they remain close to family and continue to receive health care services at the Manning Regional Healthcare Center. Manning Regional Healthcare Center and St. Anthony Regional Hospital invite community members to attend a free program entitled Mommy & Me, and the 3 Ps: Planning, Pregnancy and Parenthood. During the event local experts from both hospitals, including Dr. McLaws, Dr. Bella, Pat Hogan, RN, and Roxi Doyle, LPN, will discuss how to achieve a healthy pregnancy, the delivery process, caring for your child after birth and much more. The event will be held Thursday, November 30 at Brickhaus Brews in Manning. The program will kickoff with a social hour at 6:00 p.m., followed by programming from 6:30 to 7:30 p.m.
On November 30, Manning Regional Healthcare Center and St. Anthony Regional Hospital hosted a free community program entitled, Mommy & Me, and the 3 Ps: Planning, Pregnancy and Parenthood. The event, which included a social hour and program, was held at Brickhaus Brews in Manning. There, 20 community members listened to a panel of experts as they discussed how to achieve a healthy pregnancy, the delivery process, caring for your newborn and much more. Both hospitals were represented by trusted, local physicians and obstetrics staff, including OB/GYNs Douglas McLaws, D.O., and Isabella Ahanogbe, M.D., and Roxi Doyel, LPN, of Manning Regional Healthcare Center, and Pat Hogan, RN, The Birth Place Director at St. Anthony Regional Hospital. Dr. McLaws shares his insight on the event and collaboration between the two health care facilities. Manning Regional Healthcare Center and St. Anthony Regional Hospital collaborate to provide the highest quality and continuity of care to every patient. Manning residents are encouraged to continue all of their doctor care in Manning and deliver in The Birth Place at St. Anthony. Pat Hogan, director of The Birth Place, said the unit is staffed with 19 RNs who have 320 years of combined experience. On June 16th the DAISY Award Ceremony was held in Des Moines, Iowa, at Mercy where Taya Vonnahme, LPN, of Manning Regional Healthcare Center was recognized for making an extraordinary difference in her patients, and their families, experiences in healthcare. Vonnahme works as a nurse in the MRHC substance abuse unit and also does discharge planning in the acute unit. The award was presented by Mrs. Tena Barnes Carraher, Vice President and Co-Founder of the DAISY Foundation. The internatinally known DAISY Award started, and continues to be, in honor of her late husband to recognize nurses who go above and beyond the call of duty. Since it debut in 1999, over 2,600 healthcare facilities worldwide honor nurses with the DAISY Award.